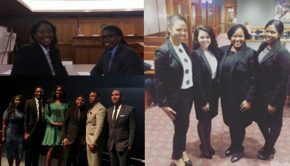 Advocacy teams from Hofstra Law’s Black Law Student Association (BLSA) performed with distinction in two national competitions offered by the National Black Law Student Association (NBLSA), the Nelson Mandela International Negotiations Competition and the Frederick Douglass Moot Court Competition. 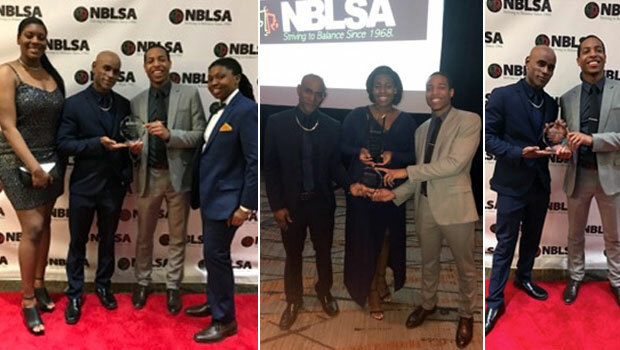 Both competitions took place during the NBLSA’s national convention, which was held in Houston from March 7-12, 2017. In the National Frederick Douglass Moot Court Competition, Hofstra Law’s team of Annette Bevans 3L and Brianni Lyons 2L finished as a quarterfinalist. They had advanced to the national competition by finishing as the second-place finalist in the Northeast regional competition in January. Also during the NBLSA national convention, Samantha McDowall 3L, the NBLSA national treasurer for 2016-17, received the National Black Law Student Association Board Member of the Year Award. 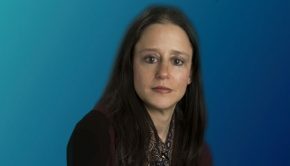 Samantha also served as Hofstra Law’s BLSA president for 2015-16 and is moot court director of competitions for 2016-17.